Forget about fake artists – it’s time to talk about fake streams. I’ve got a confession to make. I’m a fake artist. 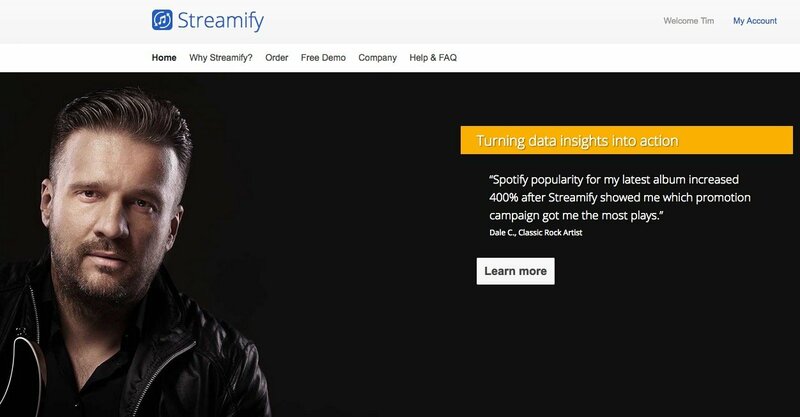 Other options for buying Spotify streams on the internet – and to be clear, MBW cannot vouch for the legitimacy of these companies – include Streampot/StreamKO and Mass Media, both of which also sell packages of fake YouTube plays. Another website, Fiverr, takes things in another direction,. Fiverr is a freelance marketplace operating across various disciplines. 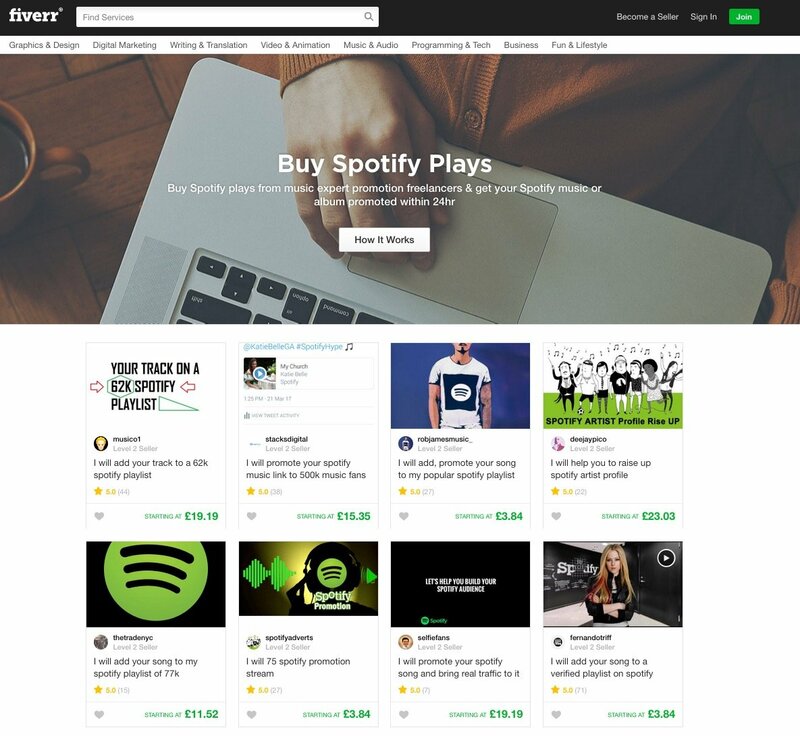 It has a dedicated ‘Buy Spotify Plays‘ section, where it claims to enable customers to “[purchase] Spotify plays from music expert promotion freelancers & get your Spotify music or album promoted within 24hrs”. 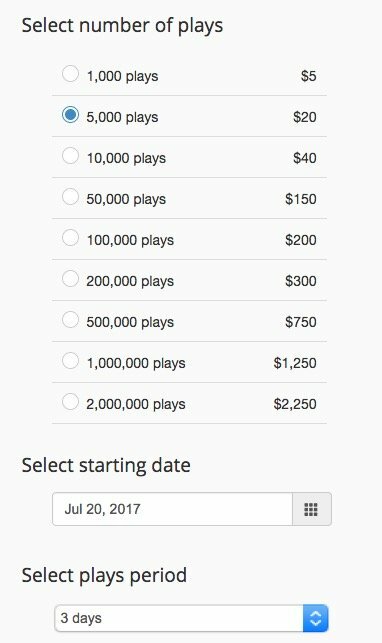 A range of vendors are currently offering struggling artists the chance to buy their way onto playlists with over 50k followers. 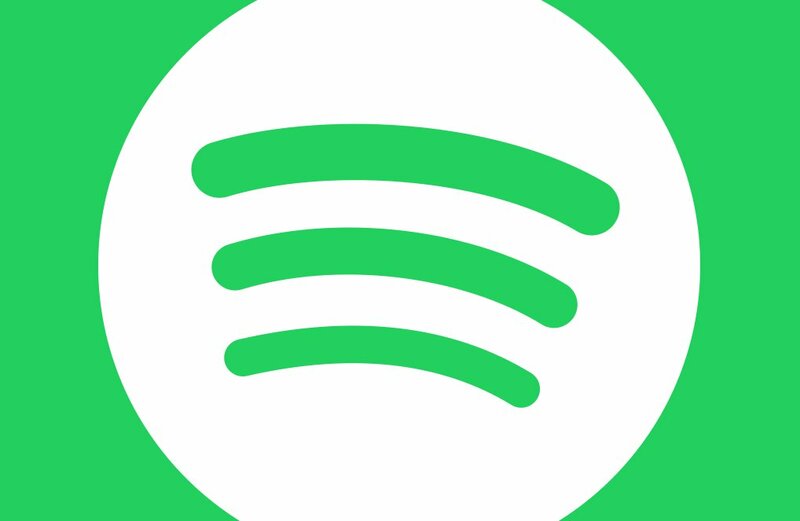 One vendor, based in Brazil, even says they can “add your song to a verified playlist on Spotify” for just $10 (£7.68). Before we come on to the ‘why this is quite a big deal when you think about it’ bit… here’s an important note about where (and where not) to point the finger. While I was trying to bulk up Pinky Hue’s adoring fanbase – through fragrantly cheating the system – Streamify kept slapping me with a health warning. Spotify’s anti-fake detection system is, in Streamify’s own words, “very sensitive to sudden changes in artists’ and songs’ popularity and the daily plays they receive”. For this reason, Streamify recommends that its users heed caution in how many fake streams they try to buy in each 24 hour period. 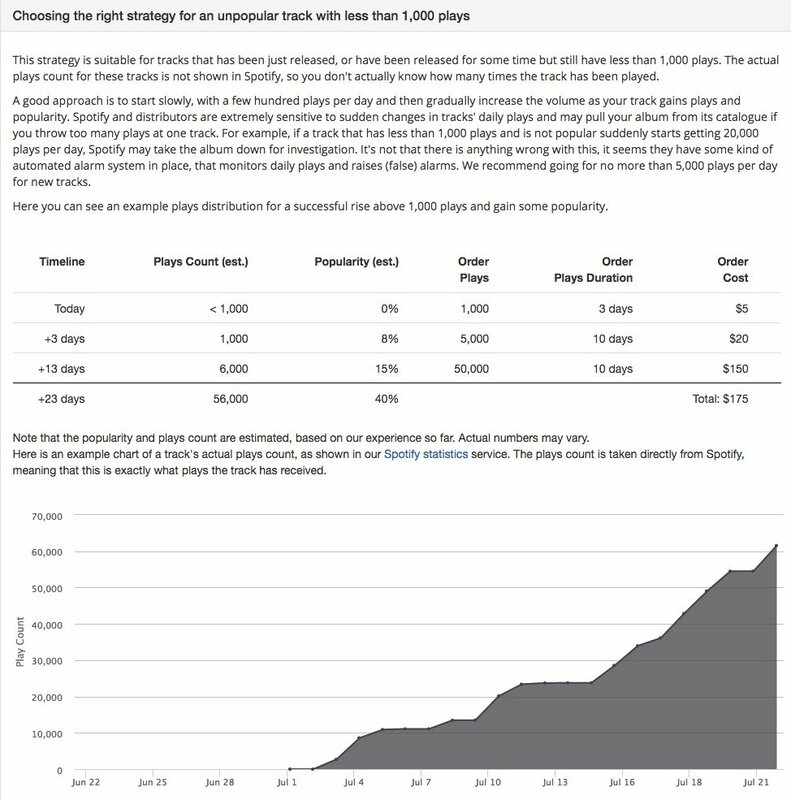 It suggests never going above 5,000 a day for new tracks, before piling on the plays after a solid foundation is built. Clearly, Spotify is not dumb. So what’s the wider industry issue here? First, it’s common knowledge that the music business fame escalator – the tried-and-tested series of machinations that gradually take an artist from unknown to superstar – are heavily invested in data. What if some of that data, particularly early-stage data, is made of nothing but smoke and mirrors? Case in point: if an act contacts a label, publisher, management company, law practice, live agent or local radio station with 2m+ Spotify streams under their belt, they are surely likely to get some attention. This certainly isn’t exclusive to Spotify numbers. It will be no surprise to hear that options for ‘buy fake YouTube streams’ and ‘buy fake SoundCloud streams’ are even more popular/prevalent online. Second: After all of the hoo-ha last week about Spotify potentially using production music to dilute the revenue pool it uses to pay other rights-holders, consider how fake streams affect things. 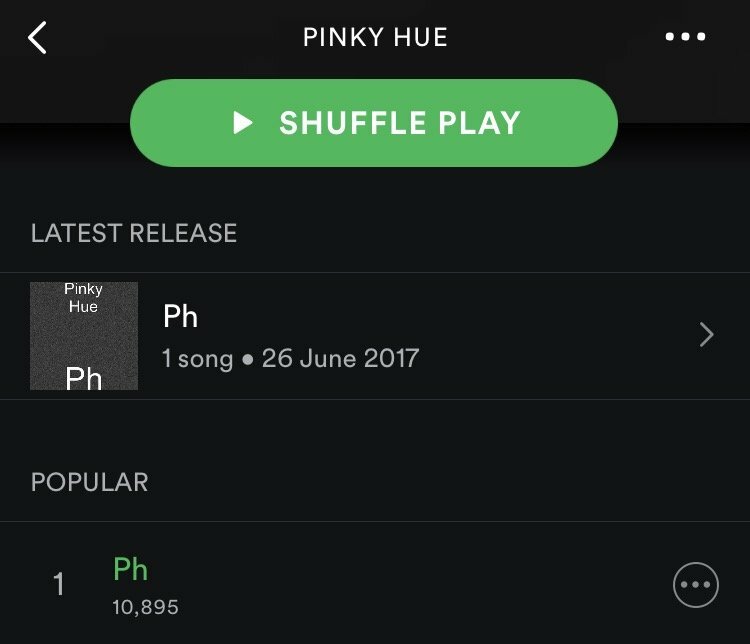 For Pinky Hue’s 10,000+ streams, I shelled out a whopping $50 on Streamify. Yet running that figure back through the calculator, it doesn’t seem too daft an outlay. Spotify’s blended per-stream payout rate (roughly calculated) is thought to settle at somewhere between $0.005 and $0.006. Guess how much 10,000 streams at that rate would theoretically nab me? $50 – $60. A profit of up to $10. “All plays are absolutely real and eligible for royalties,” Streamify reassures its customers. Lastly: The great unknown… just how widespread is the practice of buying streams online? Who else within the music business is at it? And how much of what we think to be real in terms of streaming accomplishments is actually true? Naturally, it would be a massive shock to the music industry if anything other than 99.9%+ of plays on Spotify were genuine. But it’s also worth bearing in mind that things can change: some metrics today suggest that 50%+ of the social media followings of certain superstars are comprised of bots. To what extent is music’s total streaming mass online, and therefore all business forecasts and analysis based upon it, actually verifiable?